Combining a more sportier look and practicality with a touch of Audi design the A3 meets all the needs of a modern family. Spacious, roomy and comfortable in both front and rear seats the A3 is equally at home on long journeys as well as shorter ones too. There’s an engine size to suit all driver types. From the 1.2 TFSI to the grin producing 2.0 TDI Quattro. As you would expect from Audi equipment is of a high standard with the usual Audi industry leading technology apparent. As expected the Audi A3 constantly comes top in the safety charts. Safety features include Secondary Collision Assist, Electronic Differential Lock, Anti-lock Brake Systems, Anti-slip Regulation and the clever Audi Bonnet feature all as standard. The Audi A3 comes in various models, the lively Sportback, spacious Saloon and also in the eye catching Cabriolet version. There’s also the S3 range which takes the A3 and adds upgrades such as a more powerful engine and sports performance level handling. 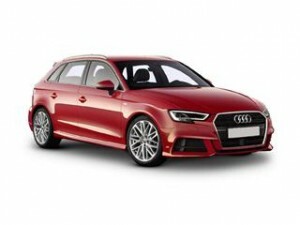 The family hatchback market is one of the largest so to entice potential new customers Audi often have great deals on the A3. Here at Coast2CoastCars we work with a UK wide chain of Audi dealers who could save you thousands on a new car. It’s simple to receive your free quote, simply choose the car, model and any extras or options such as trim, colour, navigation package and entertainment package and we display the final reduced price.